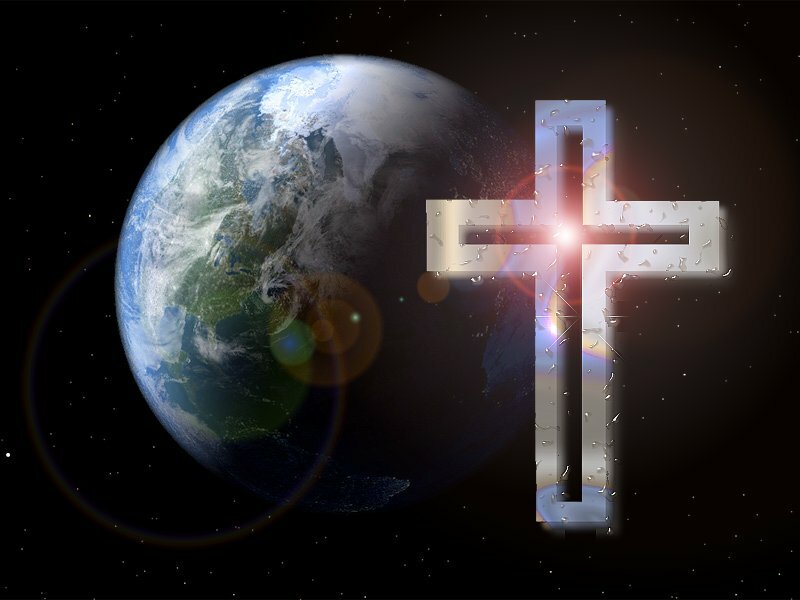 Conformed to HIS+ Image…..Patience in Babylon – I Am Not Ashamed Of The Gospel Of Christ! PATIENCE , the virtue , is frightening. It literally means “to stay under.” We think of it as endurance. The endurance , however, is measured ONLY WHEN WE ARE UNDER A SEVERE TESTING. Notice that the Apostle James exhorts us “to LET” (allow) patience to have her perfect work. We are NOT to hinder The LORD’S work of perfecting our lives because we do not “like” these hard, unpleasant, hurtful experiences and events HE+ calls us to endure. Here, The LORD JESUS commends PATIENCE to us in the midst of HATRED when His+ Followers are being hounded and hated by all sectors of society … the public, the government, and the religious alike. We will not have a friend except JESUS. There will be NO PLACE of SAFETY except by His+ side. How close is this event ? There will not be PEACE under Mr. Trump … at least, not for serious-minded Christians. There will ONLY be a “new world order” agenda. Note that Mr. Kissinger is one of his “consultants,” along with others in the CFR club. We do NOT JOIN ourselves to the “popular-rights” crowd. We do not become unequally-yoked with political movements and social rights activities. That would put us with strange bed-fellows. Serious-Minded Christians join ourselves to CHRIST, Who+ is the Eternal Word of the FATHER. We receive from His+ hand what HE+ has ordained. HE+ places some in dire straights. HE+ places some in terrible persecution. HE+ does this so that we might bear WITNESS TO HIM+ — in the WORST OF PLACES, to the WORST ELEMENTS OF SOCIETY — in this grossly blemished, unrighteous Civilization. PATIENCE, it seems, is tied unfailingly to persecution. Injury gained BECAUSE of following CHRIST JESUS. Loss sustained because of holding fast to His+ Truth. Sorrow endured because of faithfulness to His+ Word. ye might receive the promise. PROMISES — to be received — are connected to doing the Will of GOD. In order to do the Will of GOD, though, we must OF NECESSITY develop PATIENCE during persecution and tribulation. There is a race tailor-made for each one of us. It will touch the “sore” spots in our hearts. Our particular race will reveal our weaknesses and weights and faults that have warped our character, warped our faith. to rid ourselves of these warpings ? We are to RUN anyway. We are not to flinch and fling ourselves away from the race-track that Our LORD has assigned for our particular life-run. We are not to join a “people’s-rights” movement and campaign for a lessening of the distresses. We are to STAY FOCUSED ON THE RACE-TRACK which HE+ has ordained. lest ye be wearied and faint in your minds. Our Race is to be won on our knees. We win as we DRAW CLOSER to CHRIST. HE+ will direct our prayers against the evil forces and our prayers WILL PREVAIL …. if HE+ is truly directing them and not our own voice. Yes, we need to gird our loins to suffer. However, the kingdom of darkness is going to feel the heat of the Suffering Saints’ prayers ! The Prophet Daniel tells us this: in the midst of a TERRIBLE on-slaught against GOD’S people, they will be strong and DO EXPLOITS! May we humble ourselves, forsaking the ways and means of the world. Let us diligently cast aside values and ideologies that are CONTRARY TO CHRIST. Every Follower of JESUS in every society in every country MUST DO THE SAME. All of our various societies and governments — tribal, democratic, and all those in-between — are all run by fallen men. The fallen nature of man ALWAYS co-operates closely with the ideologies of satan. We are passing through our respective lands and tribes for one purpose only: to turn the hearts of fallen man to Our Heavenly FATHER and to HIS Glorious SON+ JESUS CHRIST. We are to rescue fallen men … all who are willing to be rescued … for the sake of Our LORD JESUS CHRIST. and some to shame and everlasting contempt. as the stars for ever and ever. HIS only begotten, Eternal SON+. Truly, an anointed Word of our LORD!! ….. As ‘Hebrews 11’ Believers, we MUST keep our eyes fixed on JESUS CHRIST, our ONLY SAVIOR, and look, ( intently and focused ), for our ETERNAL KINGDOM! ….The called and chosen disciples were NOT commissioned by the LORD JESUS to “fight” against Rome, and “restore” the glory of Israel, but to “make disciples of all nations,” for HIS sake, and for HIS glory and honor! We are to be “separate” and “called out” from this world, and NOT called to join forces with it! ….. Thank you for your commitment and dedicated service in HIS ministry!! Darla, Thank you for your good comment. It is a blessing to see that you are aware of what it means to be a total Disciple of The SON of GOD+. Many professing Christians ignore Discipleship for a mixture of this world’s activities. May our LORD+ Bless and Keep you and Shield you as you walk with HIM+. The Peace of The LORD+ be with you Sister. Amen Brother and thank you. I just read this and it is conformation God is speaking through his watchmen. Thank you, time is short. May the Peace of The LORD+ be with you Slenette. Thank you for your comment.